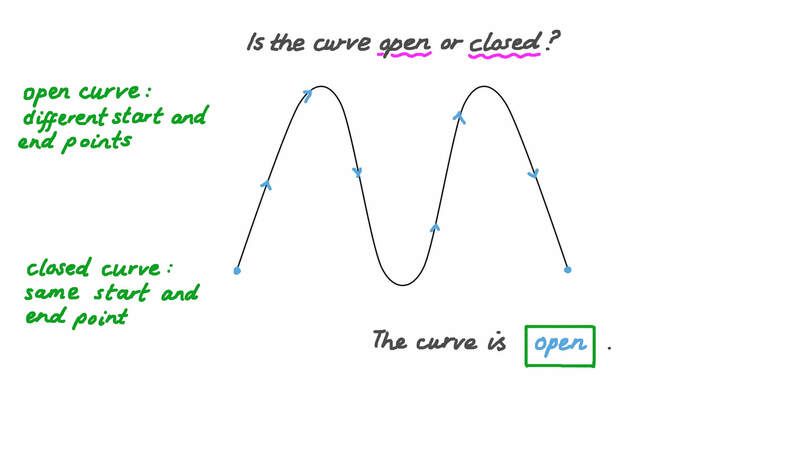 In this lesson, we will learn how to identify and draw the open and closed curves. The curve represented by the given figure is curve. Is the curve open or closed? Which of the following figures is an open curve? Which of the following is a closed plane figure with three of more sides? Is the shape of the number 2 a n o p e n curve? Is the shape open or closed? Determine whether the following figure is a closed or an open curve. Is the curve shown in the figure open or closed? The curve represented by the given figure is .